5" x 7" Heavyweight Greeting Card Set with Rounded Corners make it easy to create your very own unique & professional cards right from your home printer. 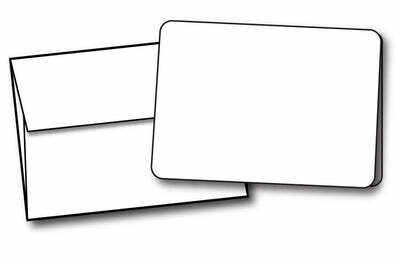 The greeting card paper, made from 80lb cardstock folds to 5" X 7" and features unique rounded corners. The matching A7 envelope is made from a quality 28lb bond stock - perfect for holding the contents inside! Both inkjet & laser printer compatible.